Oklahoma-based Warwick Energy announced in June of 2014 that the company closed its purchase of R/C Sugarkane LLC, an Eagle Ford upstream oil and gas company, last month. 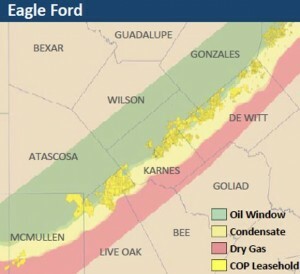 At closing, Warwick Energy gained R/C Sugarkane's 7,300 net Eagle Ford acres, with current production of ~1,200 net boe/d in Live Oak, Atascosa and Karnes counties. The deal also included R/C Sugarkane's gathering and other related midstream infrastructure in the play. In April of 2014, Warwick announced it agreed to purchase R/C Sugarkane from affiliates of a New York-based private equity firm, Riverstone Holdings LLC, for an undisclosed amount. According to Warwick officials, the operators of the acquired acreage are ConocoPhillips, Marathon and BHP Billiton. Warwick officials say they are encouraged by downspacing results and optimizations being achieved by these operators. Warwick was founded in 2010, and manages non-operated oil and gas interests across the country, with interests in over 5,000 wells in 13 states. The R/C Sugarkane acquisition will be funded by ArcLight Capital Partners affiliated equity investors.